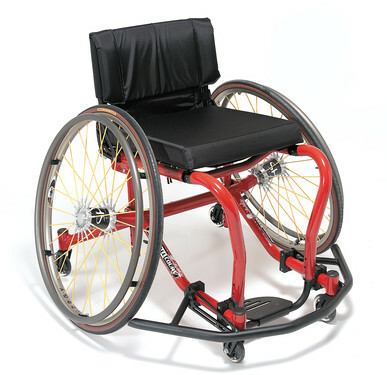 Designed with the help of elite wheelchair basketball athletes, the Quickie® All Court features a lightweight, adjustable, high-performance frame built for maneuverability and power. 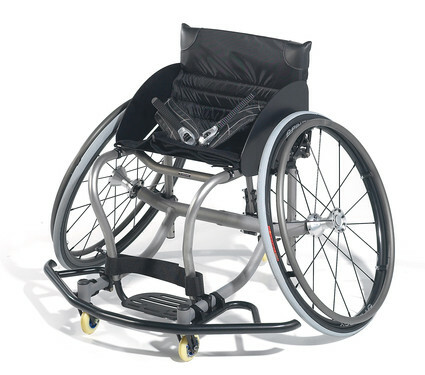 From pick-up games to gold medals, the All Court sports wheelchair will take your game to the next level. For the lightest possible weight, choose the All Court Ti. Its titanium seat frame shaves 2.5 lbs. off the wheelchair's overall weight! Perfect for tough, competitive games, titanium is also scratch and corrosion resistant. Wheelchair Weight All Court: 24 lbs. 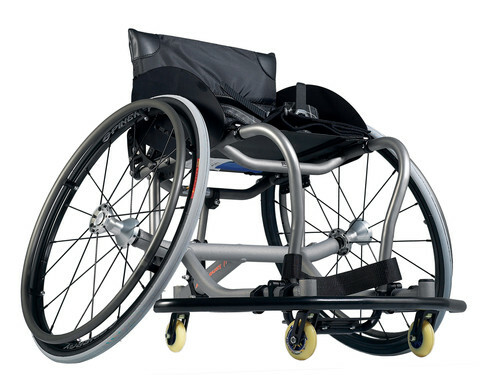 Rear Seat-to-Floor Height 13" to 21"
Back Height 9" to 20"
I love Quickie sport chairs!